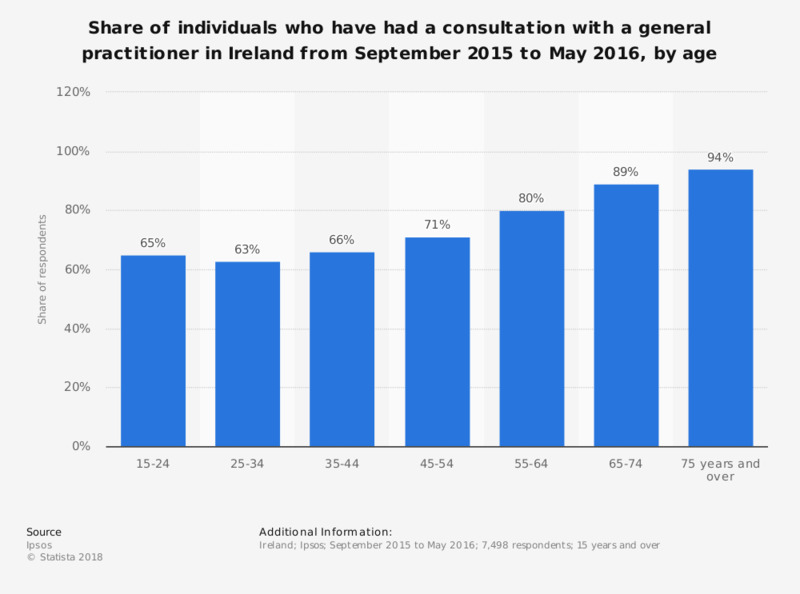 This statistic displays the share of individuals who have had a consultation with a general practitioner in the past 12 months in Ireland between September 2015 and May 2016. Of respondents to the survey, 94 percent of people 75 years of age and over had a consultation with a GP in the preceding 12 months. Thinking about your future career in general practice, what are your intentions?